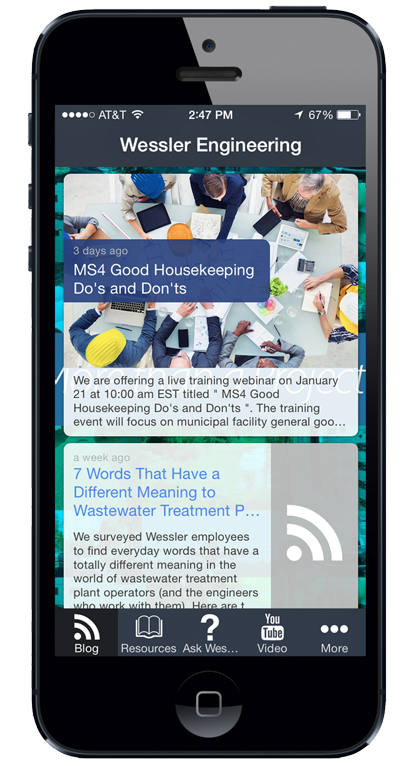 We are excited to announce the launch of the new, free mobile app from Wessler Engineering. This app is a handy collection of resources, guides, white board videos, training webinars, and contact information that you can access instantly on your mobile device. We are constantly adding valuable tools and information for our clients. This app will house all of those resources in one spot. Download the free app today on your mobile device, and let us know what you think of it!